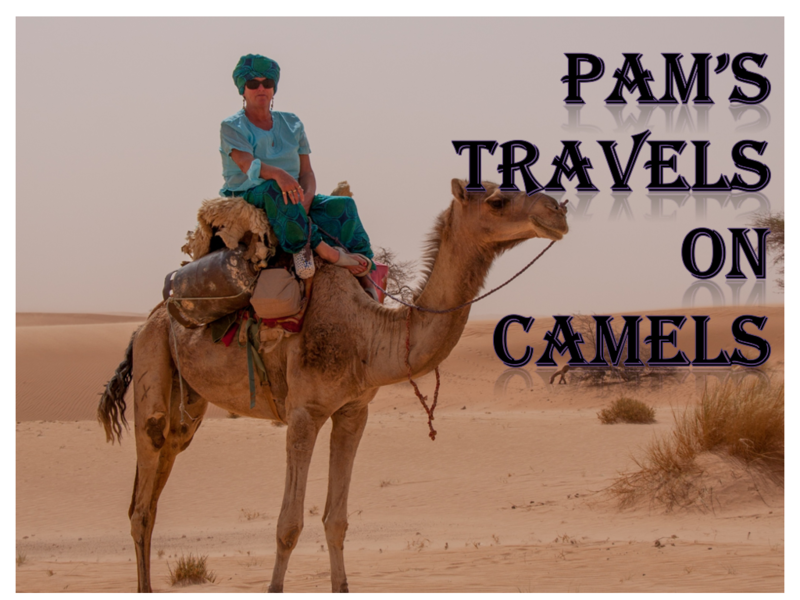 Pam travels on a camel in the African desert. Pam was born in Middlesbrough and lived there all her life . She has harboured a desire to ride camels from being little, not just to ride but to live with and learn how to handle them .